Every night after closing hours, Gilles Lacroix would place his tiny futon mattress on the wooden floor of his bookstore. He would sleep there, surrounded by the narrow and busy walls of his shop. After moving to 5372 Parc Ave., Lacroix started piling up abandoned books in his new apartment. His love for books and recycling led him to amass a considerable collection. He started selling them on the sidewalk, but it quickly grew and invaded his personal space. In 2005, he turned the space into a second-hand bookstore, despite lacking an official permit to run a business in his home. It became known as Le VIIe Sablier. He built bookshelves from newspaper racks and futon frames he found in the street. Lacroix always encouraged exchange in his community and promoted recycling. His neighbours would come to him to drop books, CDs or records they wanted to recycle. Whenever he would hear that people were getting rid of their libraries or find books being thrown out, he would bring them back into his store to give them a second life. The bookstore was filled with random and weird publications, said Manouane Beauchamp, the person behind the literary website lelecteur.ca. Living for books, surrounded by them, Lacroix’s shop was his home and business all at once—it was the only way to run it without going bankrupt. 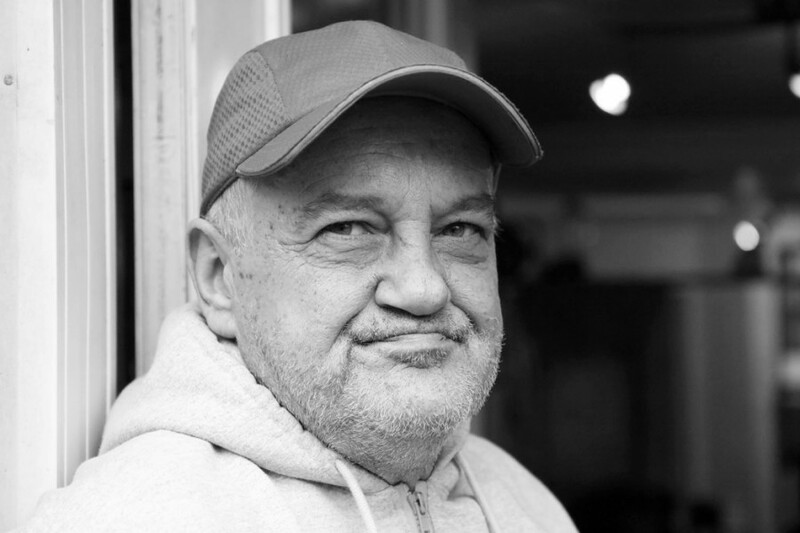 He used to sleep in a room at the back of the store, but the threatened viability of his business forced him to find a roommate. He chose to give her the bedroom and decided to set a futon in the store at night, to sleep surrounded by his precious possessions. Early in December Lacroix received an eviction notice from the Régie du logement. He had not been able to pay the rent recently, and his late payments got him summoned for a meeting with the Régie. Lacroix attempted to explain why he had not been able to pay his debt yet. The decision was non-negotiable—he was being evicted. Lacroix said a tenant should be granted three months to adapt before leaving. However, the present laws required him to move out within a month of receiving the letter. Lacroix tried to negotiate the terms of the eviction in order to have time to pack, organize his move and to save his passion. All his attempts failed. If he had been given an extended deadline, he would have organized a sale, or a giveaway of his thousands of books. After spending his life attempting to recycle goods, he was forced to empty his home and pile up his books in the street, telling passers-by to grab some for free, lest he have to dump them in the trash. At the end of the first week of January, all that was left were a few books left out on a table, outside of the empty shop. “For a bookworm, it’s like losing a child. It’s heartbreaking,” said Sean Madden, owner of the second-hand bookstore Encore. On social media, Montrealers reacted to the closing announcement—all wanted to save the books. Some suggested to collect them and organize a sale, with profits going to Lacroix. There was one catch to that plan—the man was nowhere to be found. On Facebook, no one knew where he went. His neighbours didn’t know about it either. 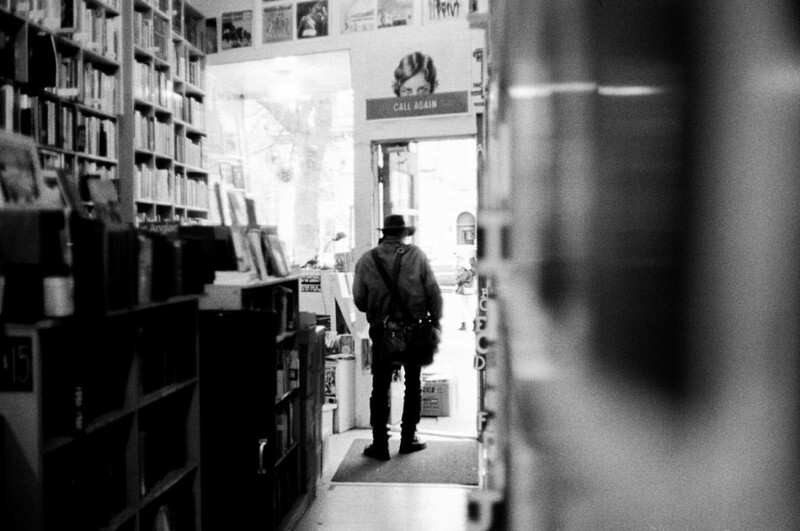 The shop is now empty, and silence is the only answer you’ll get by knocking on the door. 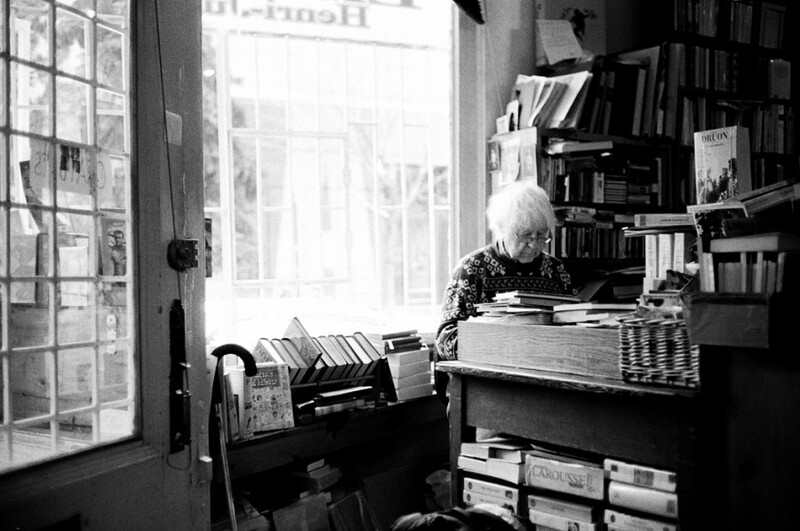 Montreal hosts a small but tight bookstore community. Bookstore owners from across the city, from Encore, The Word, Millenium, Henri-Julien and Argo were all saddened by the news, and tried to reach out to the community to find out what was next for Lacroix. The state of the economy is a burden for all businesses in the city. Restaurants and shops close regularly, but according to Madden, bookstores tell a different story. 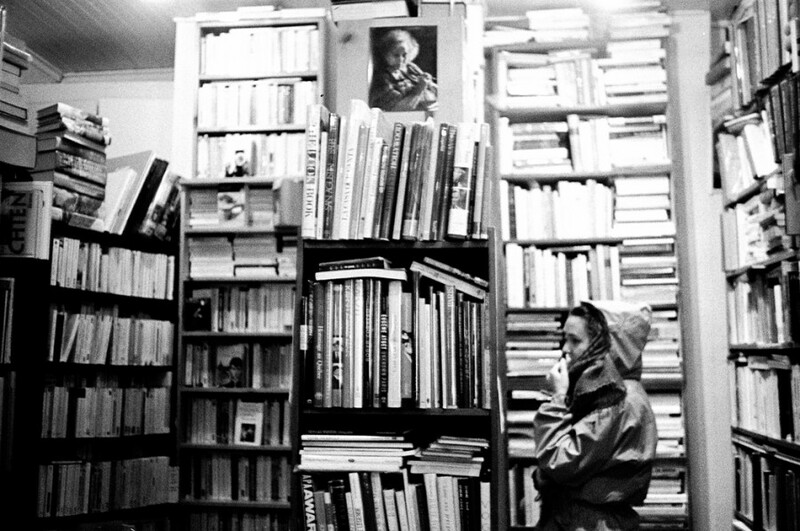 Michel Lefebvre, owner of the Henri-Julien bookstore, agreed. Twenty-seven years after opening his business, he wouldn’t miss a day of work for anything in the world. In convalescence after fighting cancer for two years, he had to trust his assistant with the shop for two months. He is now happy to be back and missed being away from his books. “I missed it almost as much as I miss La Presse’s crosswords,” added Lefebvre, who doesn’t know how to use a laptop. For 10 years, his revenues have been steadily decreasing. “It’s the decadence,” he sighed. Thanks to the reputation of his place and its rare items, customers keep coming back. As he said this, two visitors wandered leisurely, absorbed in the hundreds of antiquarian books piled up around them. The smell of the paper created a mystic and timeless atmosphere in the room. Stopped in time, peace emanated from exploring the bookstore. “Walking around is an education on its own,” Madden said.